Easy ways for your home to make a lasting first impression. Photography courtesy of The Scobis Company. St. Louis is more than just a city; it is a sprawling county as well, filled with suburban neighborhoods and the ever-popular cul de sac. 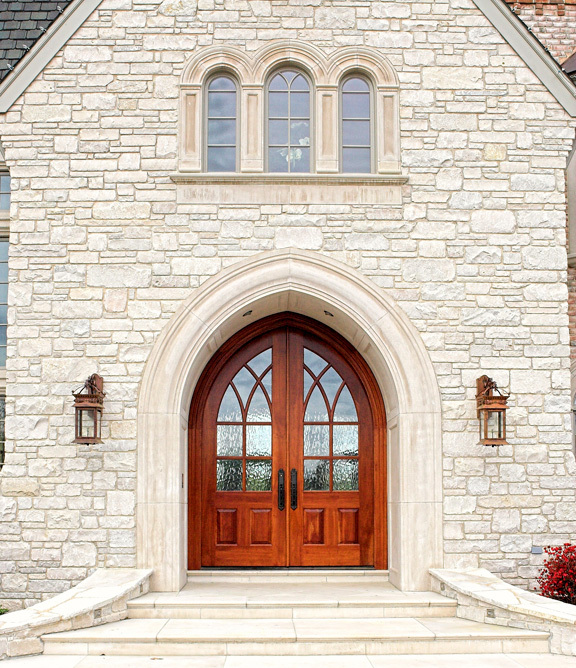 No matter where you live in St. Louis, your house can make a lasting first impression. 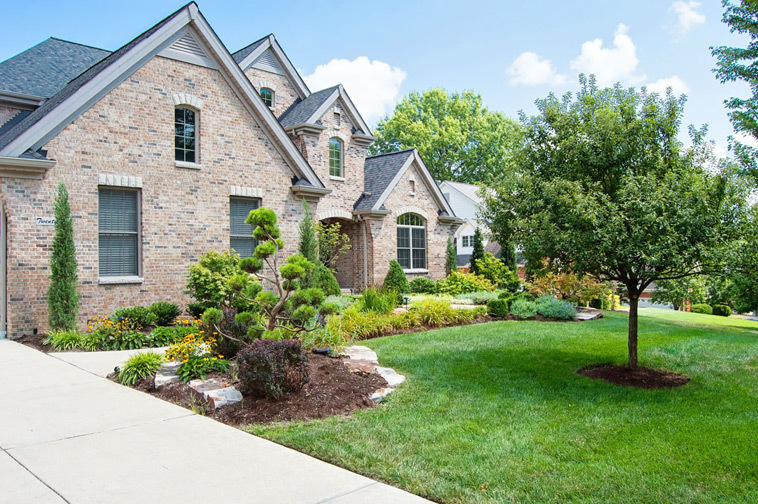 To increase your curb appeal, Jim Graeler of Chesterfield Valley Nursery recommends adding lush beds along the walkway or a piece of seasonal color to make the home stand out along the block. If you don’t think you have time for plant upkeep, you can always ask Chesterfield Valley Nursery for a budget-friendly maintenance package. Some plants that are simple to maintain year-round, Graeler says, are evergreens that keep their foliage through the seasons such as boxwoods or the Mugo pine. If you’d rather add color to the yard, a Japanese maple adds a variety of colors, especially in fall. Landscaping is more than just plants. Adding boulders, waterfalls and dry creek beds adds depth and dimension to an otherwise flat space. Chesterfield Valley Nursery has started working with outdoor living spaces now more than ever, from fire pits to full outdoor kitchens. Foyers should have adequate lighting to welcome in guests. Make sure it’s well lit by adding lamps to decorative tables or an interesting overhead light. If a foyer is boring currently, the first and most affordable step to take in spicing it up is to add color in unconventional ways. Rapp says that bringing in functional furniture, such as cubbies and chairs with added storage space, or artwork for color doesn’t have to be expensive; it just has to be interesting. 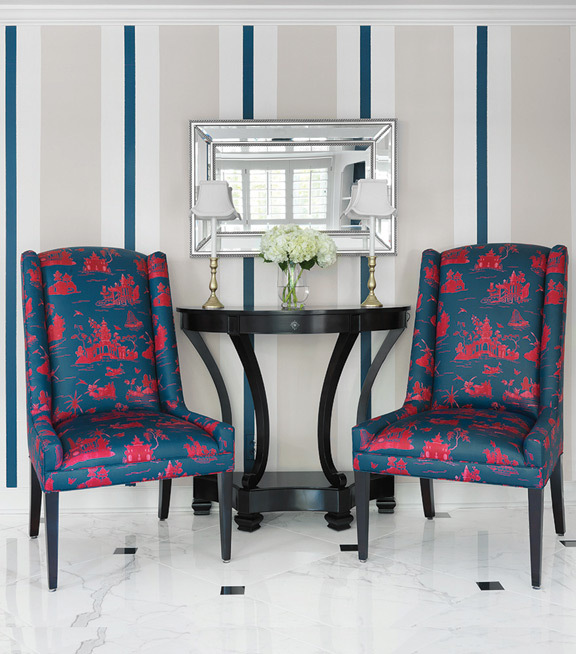 JCR Design Group has even painted rugs on hardwood floors in the recent past. These are simple ways to make the start to any home tour more interesting. Contact your local nursery, The Scobis Company or an interior designer for personalized help with your home.